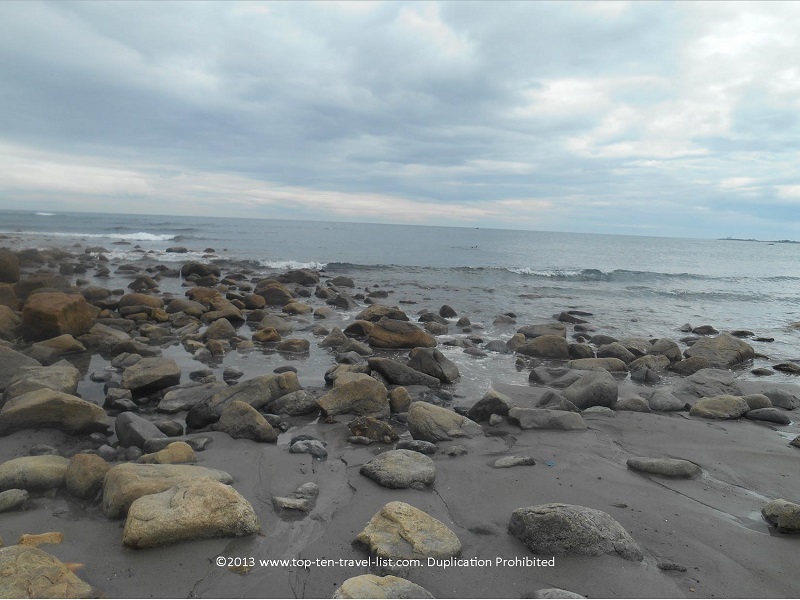 10 Breathtakingly Beautiful Rhode Island Attractions - Top Ten Travel Blog | Our experiences traveling throughout the US. 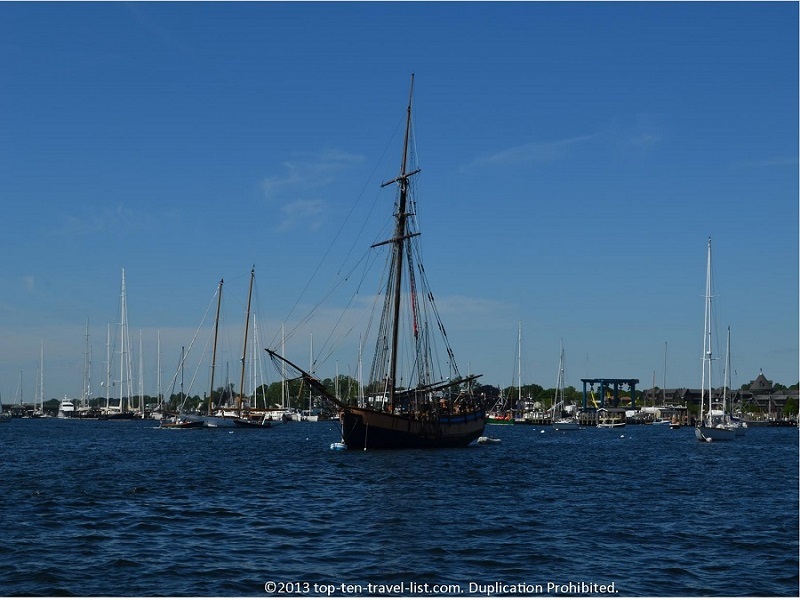 There are so many gorgeous places to explore and activities to enjoy in the “Ocean State” that it would be difficult to condense the many choices into a Top 10 list. From gorgeous beaches to beautiful natural parks, Rhode Island is home to some of the most spectacular scenery in the US. 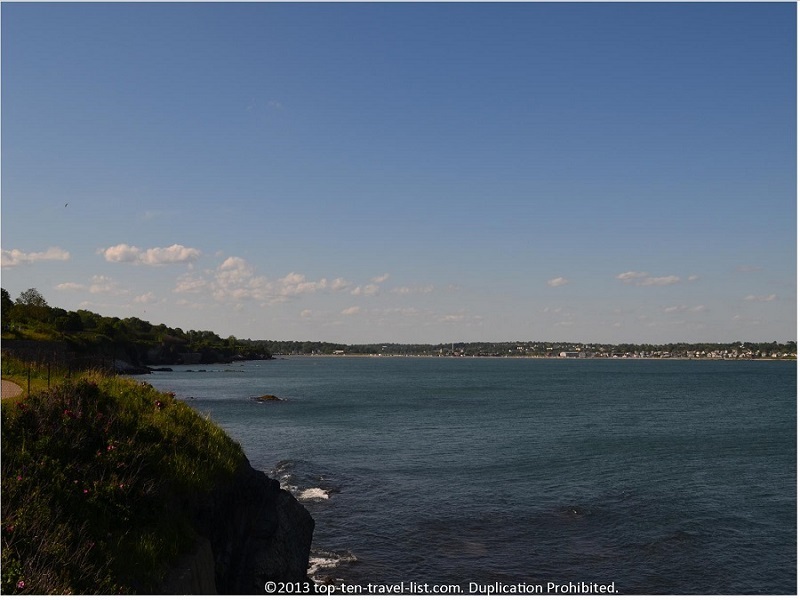 Below is a list of 10 Rhode Island attractions with spectacular views. 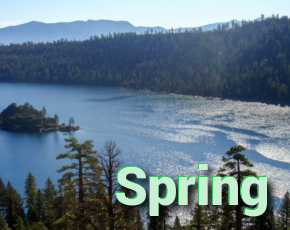 I have included those activities and attractions which provide beautiful, natural settings. A trip to Rhode Island would not be complete without planning a visit to each of these breathtakingly beautiful attractions. 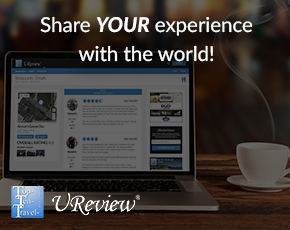 Enjoy the list and be sure to comment on the most beautiful places in Rhode Island you have visited. Newport is home to a handful of both the most visited and most scenic attractions in the state. 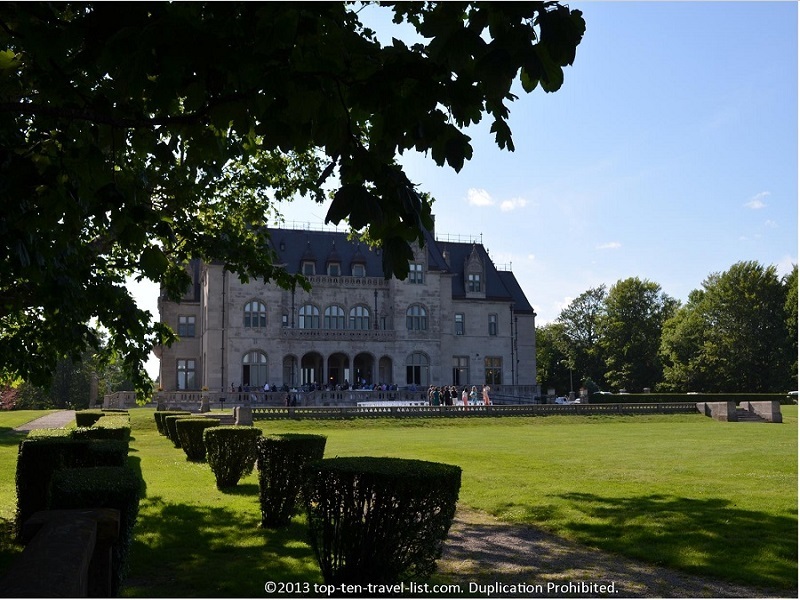 Gorgeous coastal Newport is most famous for being home to the spectacular Newport Mansions. These architectural wonders offer a glimpse into the lives of the uber wealthy. 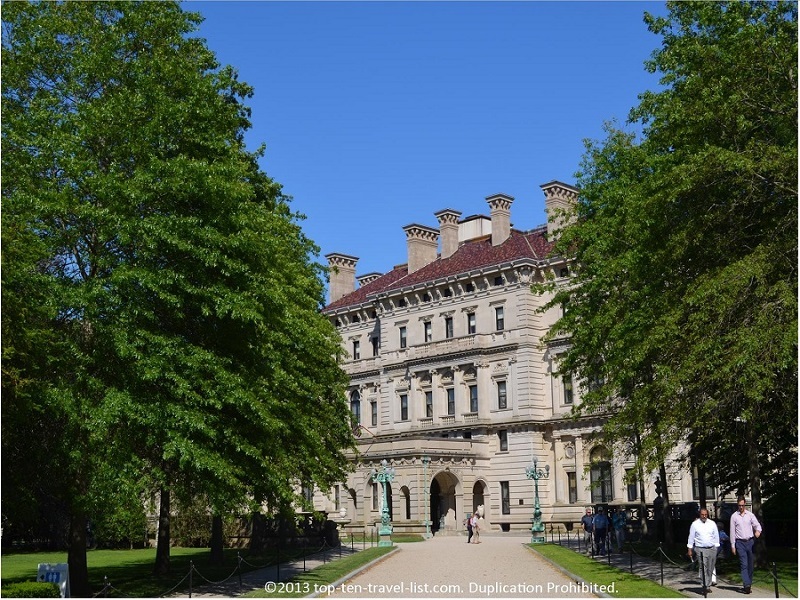 The most famous of the 11 properties, The Breakers, comes in at an astonishing 137,000+ square feet! These aren’t your ordinary mansions: they are beyond anything you’ve ever seen. During the holidays, the Newport Mansions are decked out in a grand festive display. Be on the lookout for special performances throughout the season, including a production of “The Nutcracker” at Rosecliff. Although I’ve never made it to the mansions during the holiday season myself, I’ve heard that this time of the year is an especially spectacular time to plan a visit. 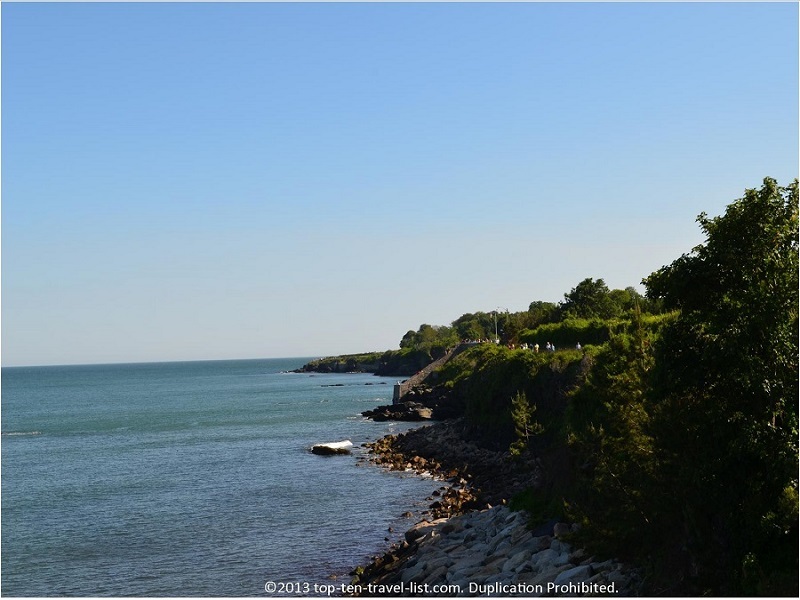 CliffWalk, a 3.5 mile walk which runs behind the mansions, takes you through an incredible journey with unending views of the mansions and the incredible Rhode Island coast. It doesn’t get any better than this! CliffWalk is by far the #1 walk in Rhode Island; a can’t miss activity for anyone interested in seeing the best Rhode Island has to offer. 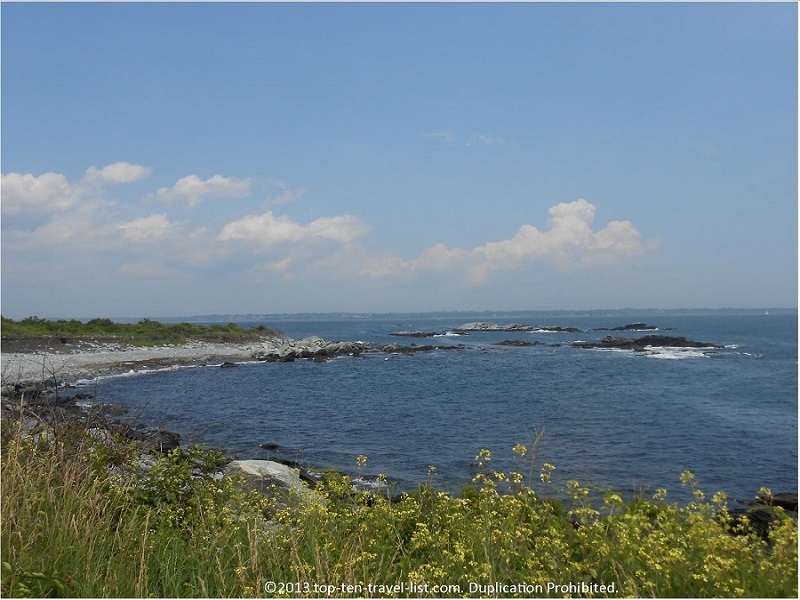 Rhode Island is home to a number of beautiful parks, although none offer a setting as serene and beautiful as that at Sachuest Point Wildlife Refuge. 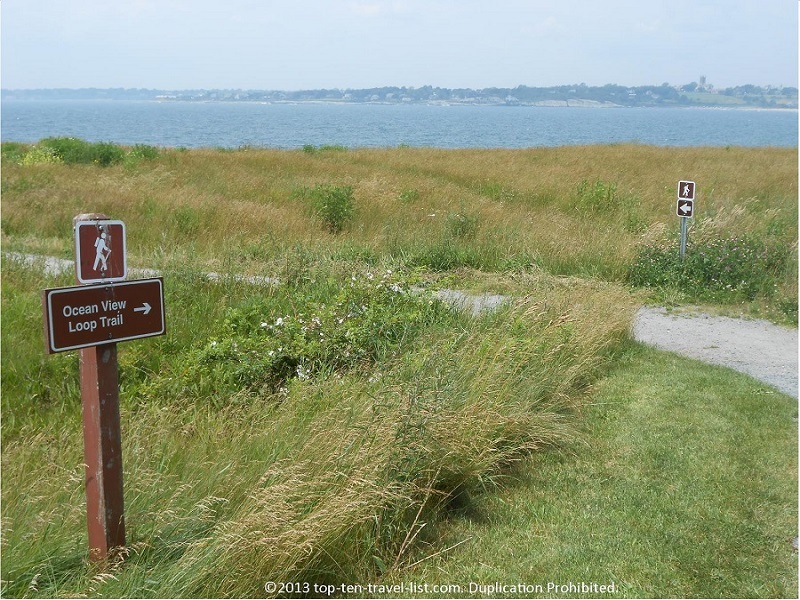 A walk around the refuge enables you to experience beautiful views of the Rhode Island coast, while also exploring the native plants and wildlife of the area. Deer are spotted on a recent basis, and bird watching opportunities are ample. This year, we were lucky enough to see a rare Snowy Owl. The refuge is a fantastic place for photography and on any give day you are sue to see plenty of photographers capturing beautiful landscapes. Sachuest Point offers something for everyone. Whether you are looking to take a few great photos, explore local wildlife, change up your morning exercise routine, or just escape for a while, you will find that Sachuest Point offers just the relaxed environment you are seeking. 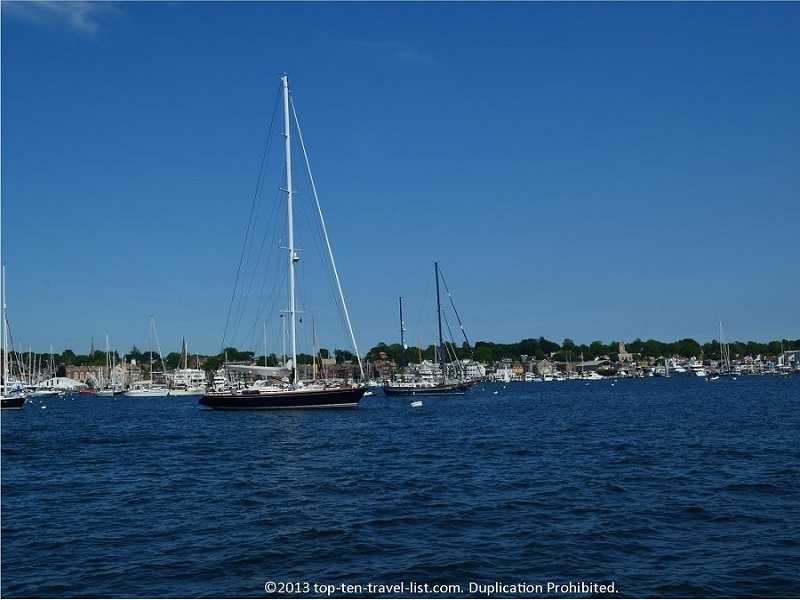 One of Newport’s best activities, a narrated boat ride aboard Gansett Cruises, is a must-do when vacationing in Rhode Island. 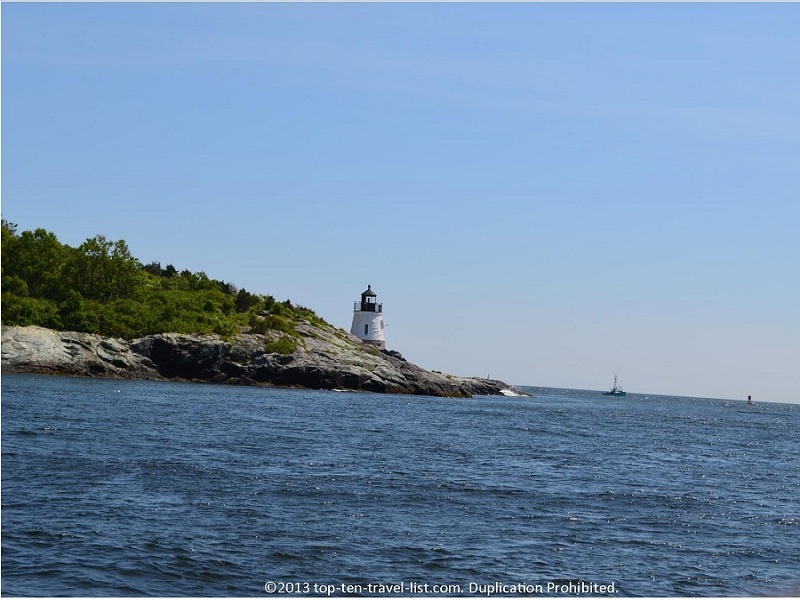 Gansett’s entertaining and scenic cruises provide you with an extensive knowledge of Newport . 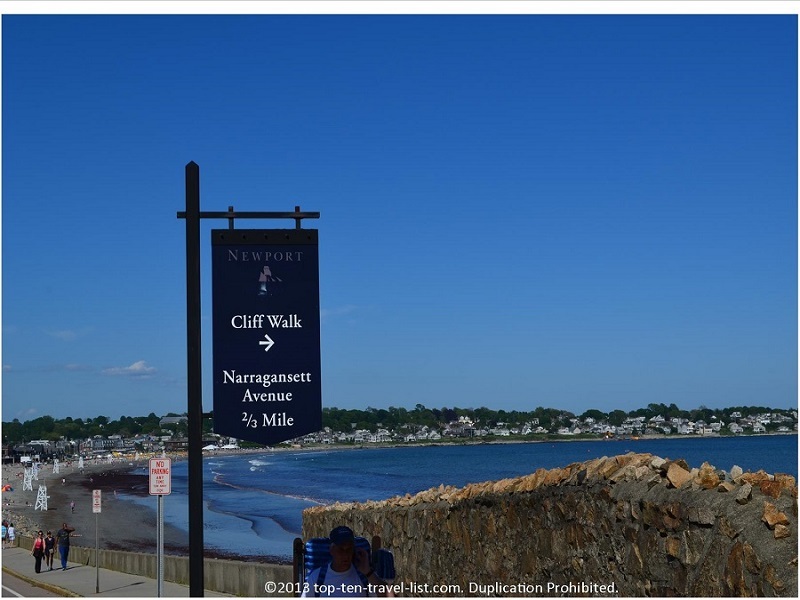 You will learn many interesting tidbits about Newport, along with Jamestown and general facts about Rhode Island as well. Tour guides conveniently point out all major attractions, while providing an informative history on each. The views are absolutely beautiful. Newport is one of my favorite cities: the harbor is so quaint and picturesque. After your cruise, you can take a walk around Bowen’s Wharf for a bit of unique shopping or a great lunch at one of the waterfront restaurants. Each cruise includes a special Rhode Island treat. Morning cruises include coffee, afternoon cruises includes ice cream, and evening cruises feature champagne. No matter which cruise you pick, whether a relaxing morning journey or a romantic evening cruise, you are guaranteed a great history of the area, fabulous views, and a spectacular time!